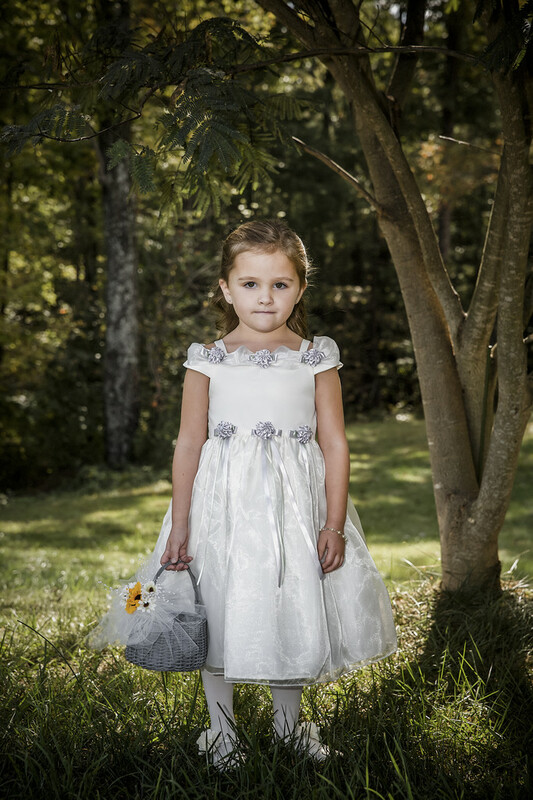 Portrait of a flower girl at Wedding ceremony, backlit in outdoor garden at Montfair Resort Farms. Flower girls dress cream with lavendar flowers and trailing ribbons. Photograph taken with Canon 5DMIII and 70-200mm Lens. Post processed in LR and PS with Alien Skin.